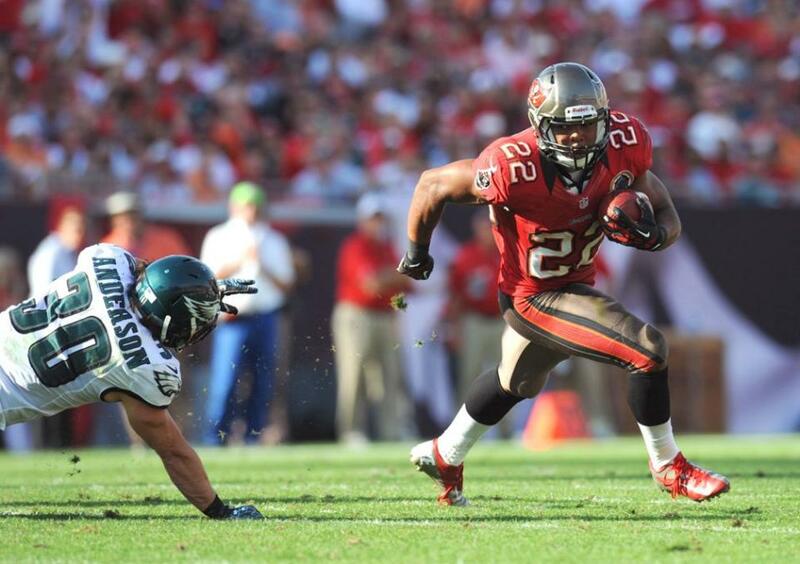 Buccaneers fans witnessed an agonizing consistency in Tampa Bay's attack Sunday until rookie RB Doug Martin and WR Vincent Jackson spurred a second-half breakthrough. The Bucs punted on each of their seven first-half possessions, posting only four first downs and 79 yards against a Philadelphia defense that had been yielding an average of 30 points during an eight-game losing streak. Three weeks ago, Martin led the NFL in total yards from scrimmage. But with the Falcons and Broncos gearing their defenses to stop him, the first-round pick out of Boise State was limited to 106 yards in 39 carries the previous two games. Against the Eagles, Martin was back in form — bursting through holes and breaking tackles. Jackson caught four passes for 87 yards in the second half, including a 13-yard TD slant that put the Bucs ahead 14-10 early in the fourth quarter. Seven minutes later, Martin scored from 4 yards out for his 10th rushing touchdown of the season. Targeted 10 times by quarterback Josh Freeman, Jackson finished with six receptions for 131 yards, giving him 1,145 receiving yards on the year since signing as a free agent from the Chargers. Jackson is only 278 yards away from breaking Mark Carrier's single-season franchise record, set in 1989.